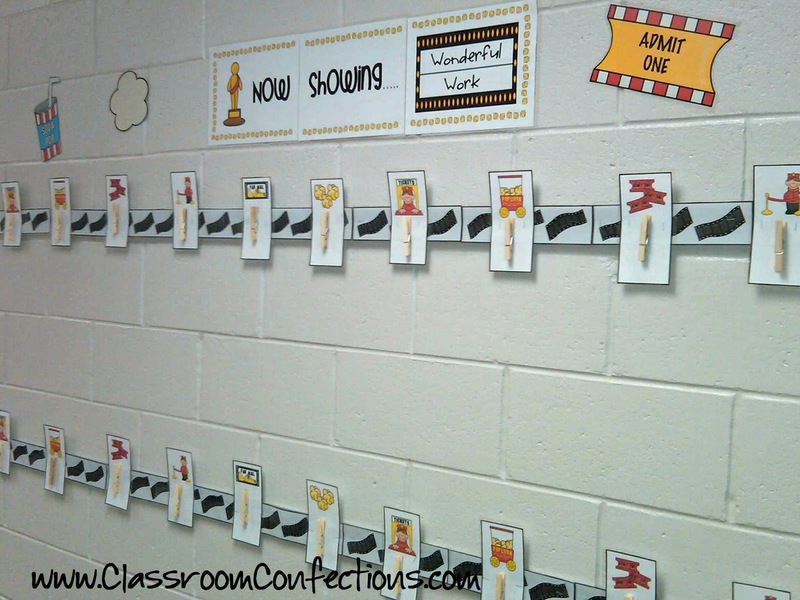 My Movie Themed Classroom - Classroom Activities: Social Studies, Reading, Writing, and More! 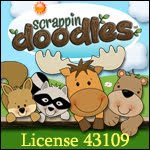 Yep, it's that time again.... Back to School! 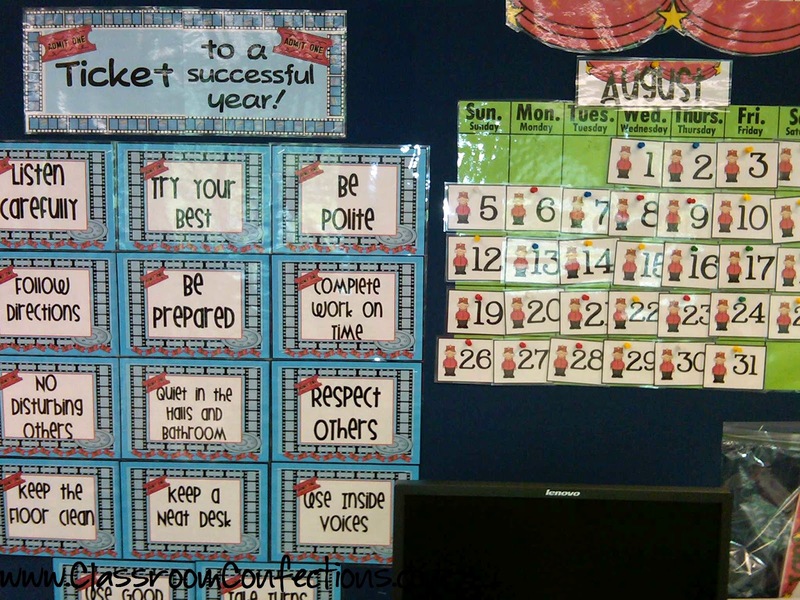 These are my movie themed classroom rules posters and my calendar set. 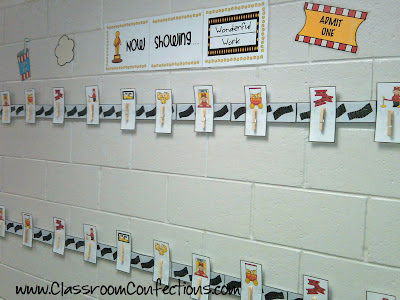 You can purchase the movie themed class rules by clicking HERE. 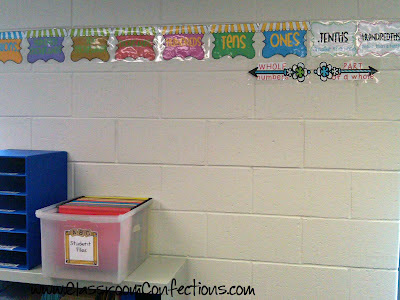 The calendar set comes in my movie themed classroom decoration set, and it can be purchased HERE. This is my movie themed hallway display. It stays up all year, and I just change out the kids' work. 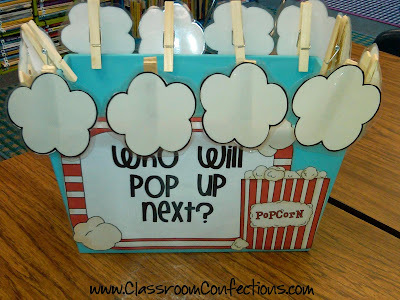 This also comes as part of my movie themed classroom decoration set. I tried to work something movie themed into my reading area, so I printed off some theater curtains and made a poster that says, "Books are like Movies". This is something I made to help me call on kids randomly. I won't use it all the time, but it's nice to be able to pull names out of a 'hat' sometimes. 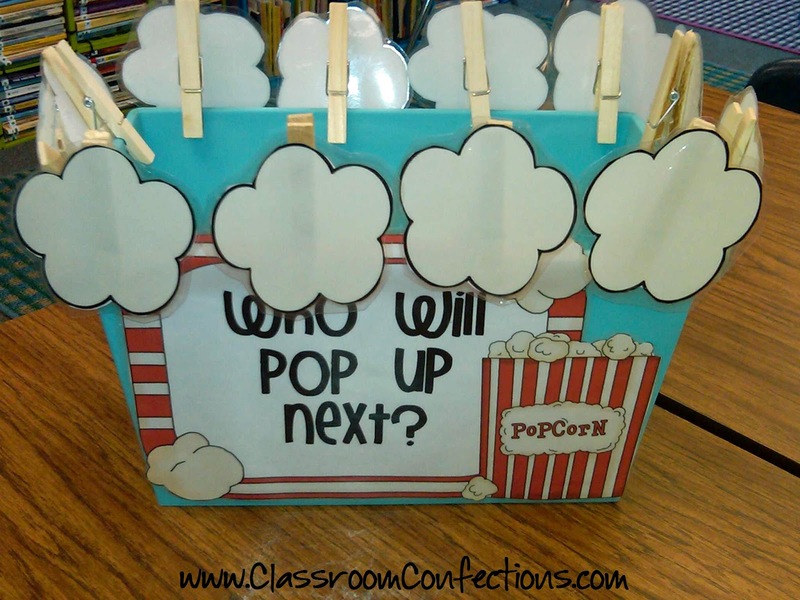 Once I have my class list, I will put the kids' names on each of the popcorn pieces. 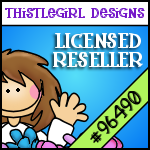 This can be purchased HERE. I also hung a few other things that are not movie themed, but I thought I would share. 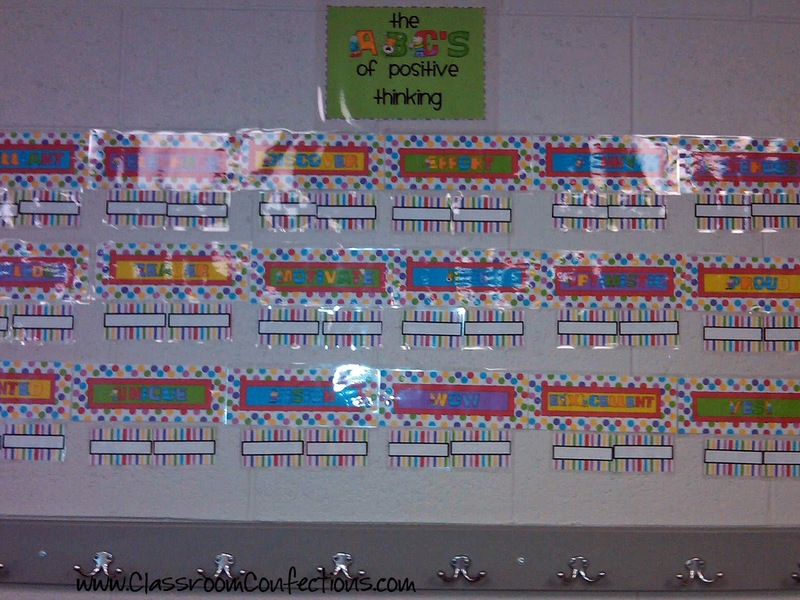 This is a place value chart I made using color coding. Check out the details HERE. I am using the set below as part of my behavior management. There is a positive word for every letter of the alphabet. Under each word are two cards. 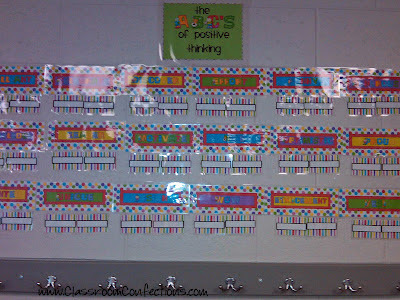 Each month the kids can earn their name under a card when I see them displaying the positive behavior. 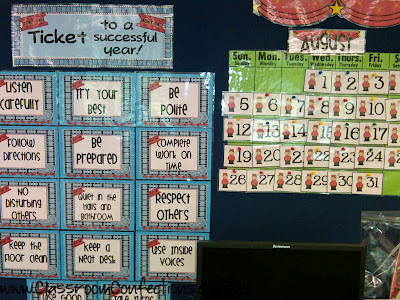 This display can be viewed and purchased HERE. I have never done a theme, but, if I did, it would be a movie theme. Your room is an inspiration. Thanks for sharing your beautiful pictures. 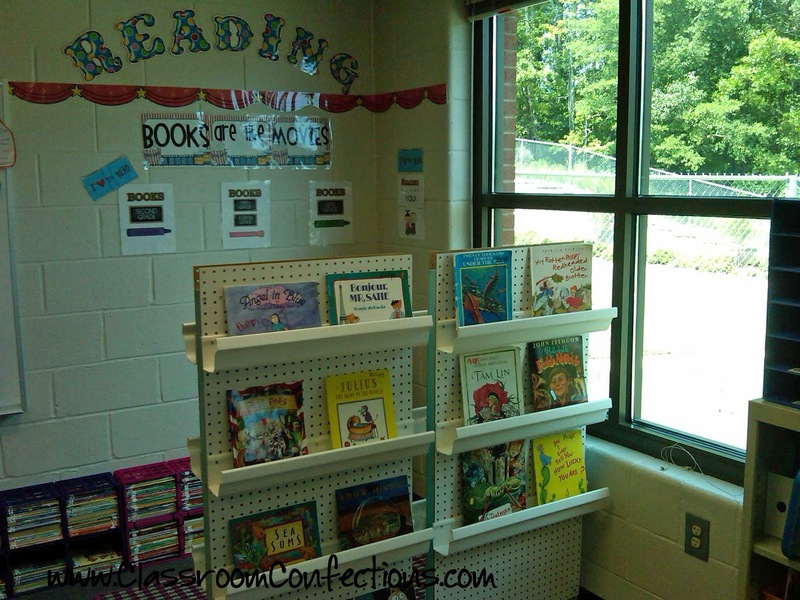 I'll be starting my 18th year of teaching and I always go back early, too, because it takes way longer than pre-planning week to set up a room. Especially with all the meetings and interruptions. I love your movie theme. So creative! I like how you have integrated your theme throughout your room. Cute! I am your newest follower. Please visit my new blog at Visit P.J. Jots!